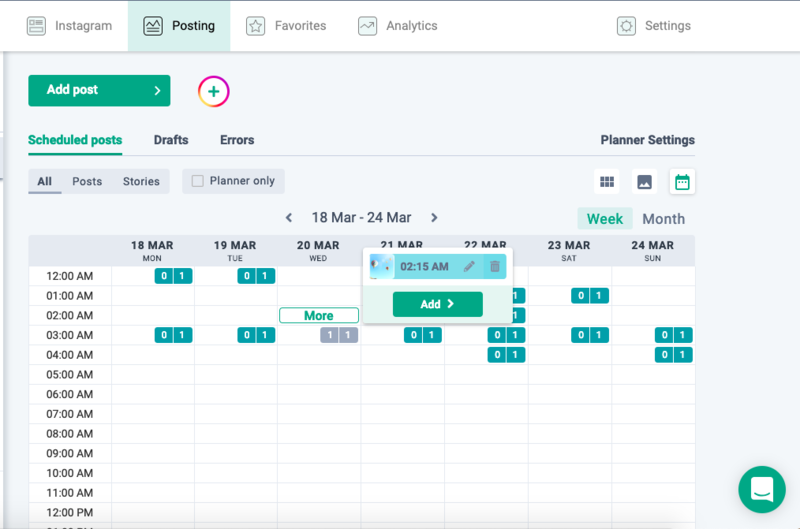 The Planner is a tool for precise calendar scheduling. For example, it can be helpful if you have a weekly media plan for months ahead. You just select precise time slots for weekly posting and upload photos and videos, and posts occupy the created time slots in the order. 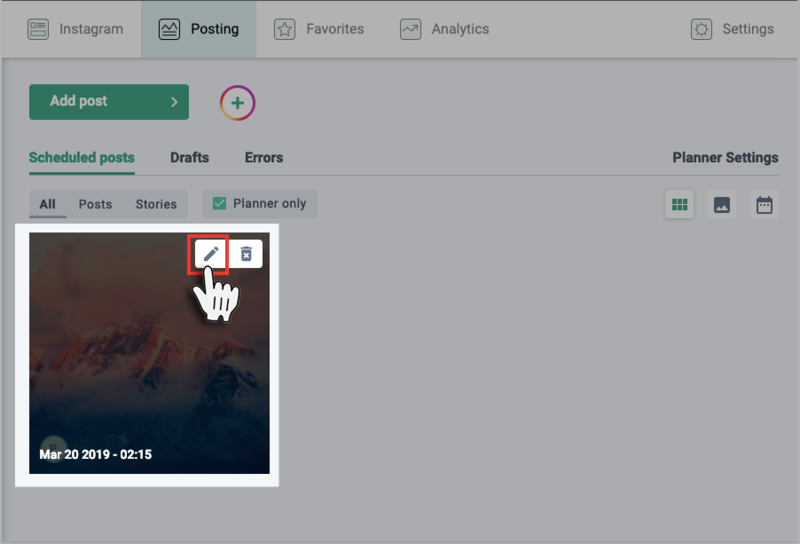 To start your work, press Planner Settings on the Posting tab. Here you can find an easy to work and simple form to set a weekly schedule of posts. Set the time and select days of the week for this time. You can see all the time slots you have selected in the field below. In case there are too many slots, you can change the way of showing the settings by switching the Show time pointer. To delete a slot, hover over it and click the Cross icon. 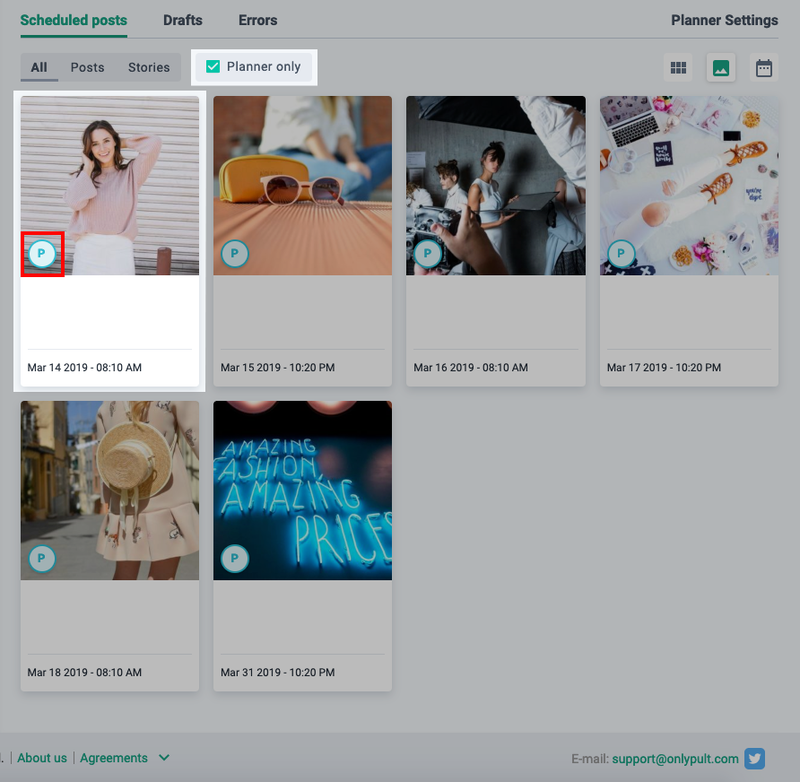 Important: in case there are any posts scheduled for a Planner time slot that should be deleted, all scheduled posts will be retained and published on time, if the slot is deleted. When the schedule is ready, start adding posts. To do it, press Add post, and the unified posting form will appear. 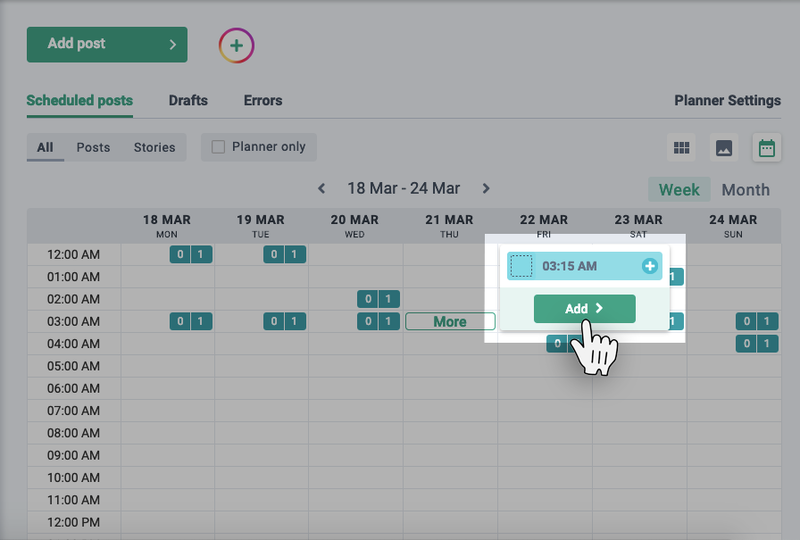 To make Planner time slots shown on the calendar when you choose the date and time, the planner option should be selected. Note that you can automatically set the date and time for all your posts. 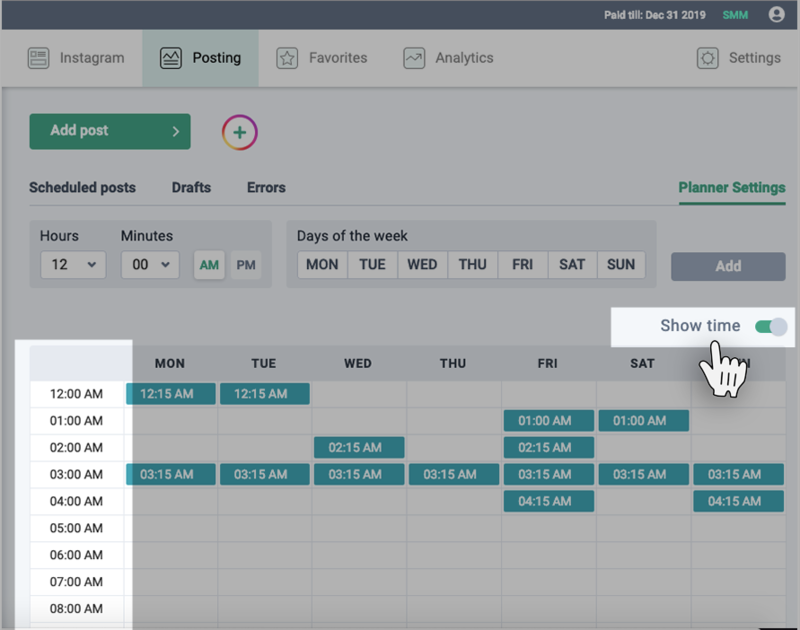 To do it, press Select the first slot and set a Planner time slot from which the date and time will be set in all created posts. When everything is ready, press Schedule. 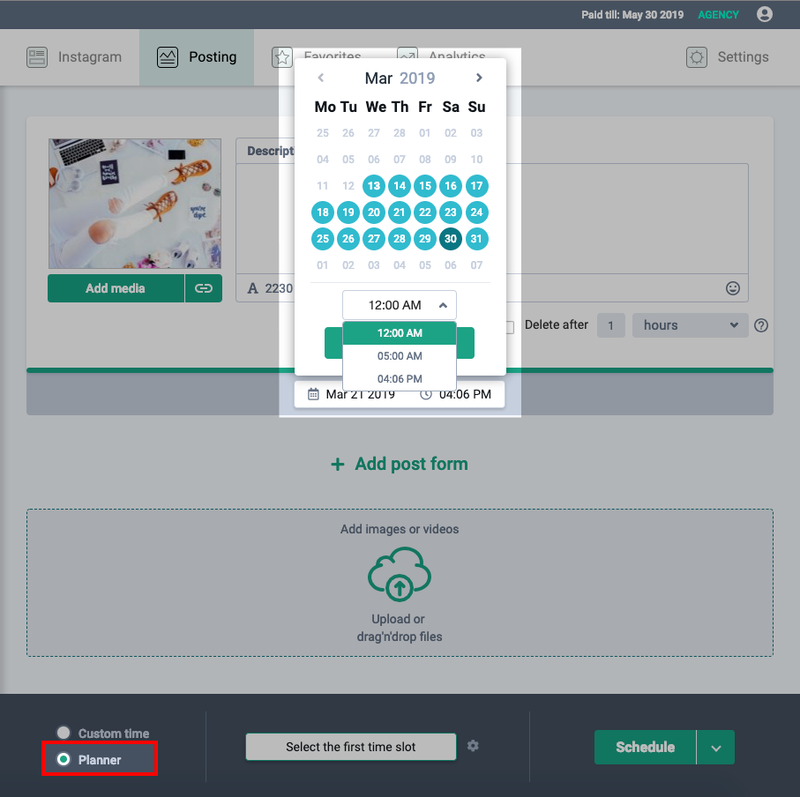 If you need to add some content to the specific time slot on your schedule, except the scheme described above, you can schedule a post from the Calendar. To do it, select the calendar view on the Posting tab, find a free time slot, and press the plus sign. The adding post form with the preset date and time will appear. You can edit post created with the Planner like a common post. The only difference is the possibility to change the date and time only for a free Planner time slot. You can always change the Planner settings by pressing Planner Settings on the Posting tab. You can add extra posts to slots marked in dark turquoise. Time slots marked in grey are not available for adding posts.